The horse is a creature of wide-open, dry plains and mountain slopes (except for the wide-footed breeds of northern Europe, which are adapted to living in soft, wet footing). The horse’s native environment includes extremes of heat and cold. The ground is dry, hard, and often rocky. Rivers or water holes are scarce. The wild horse’s food is the dry, sparse bunch-grasses of low-rainfall areas, and a variety of herbs, shrubs, roots, and bark. The horse is exactly designed to live well in that environment. Every part of his body, and the social life of the herd, are fashioned for a strenuous life – and he requires extreme conditions to stay in peak health. Horses have lived this way for millions of years, far longer than human beings have existed. 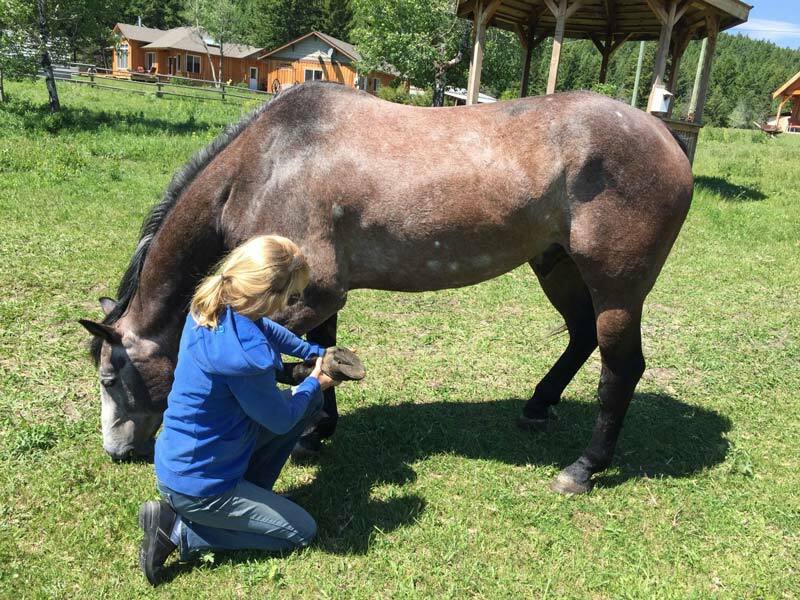 The horse is a successful species – the design works! The horse’s hoof is a masterpiece of living design, built to handle awesome mechanical requirements. We can sustain it by providing what it needs. We can set up “natural boarding” for our horses, to promote their health in captivity, so that they can have an environment similar to what they were designed for. See ‘Paddock Paradise’ by Jaime Jackson. Many of us live in “horse-unfriendly” climates. 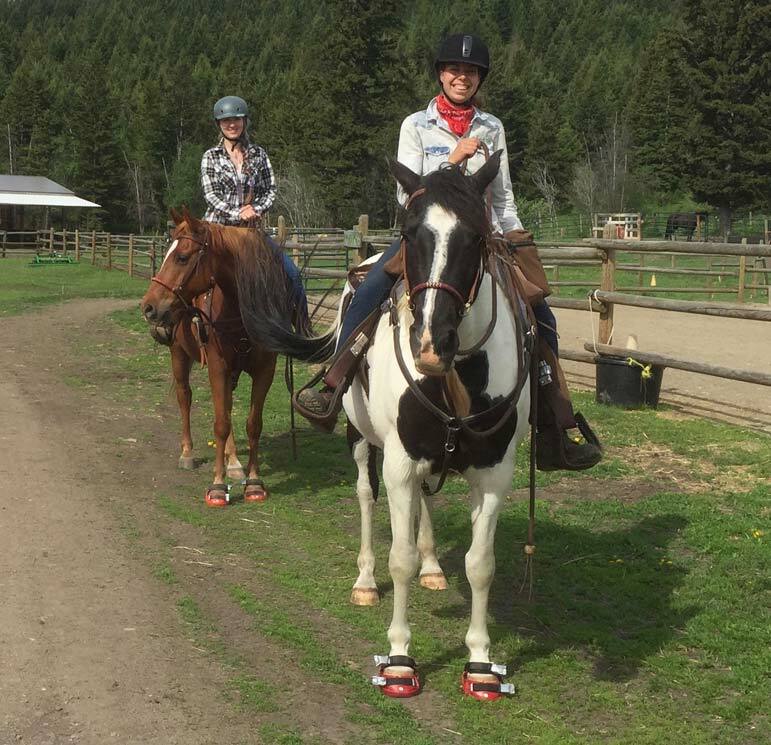 Horses that live on soft footing, or are insulin resistant (IR), may always need hoof boots for riding on rough or hard surfaces. Horses that work on paved roads should use boots on all four feet, to prevent excess wear of their hooves; pavement is very abrasive. 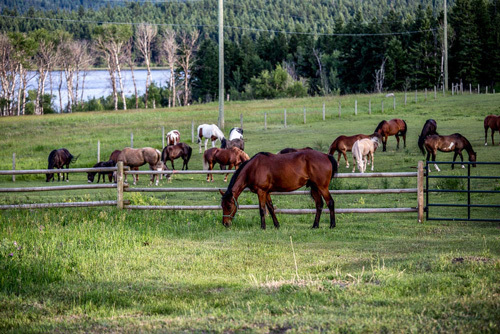 We are proud to say that all our 26 horses are barefoot at Campbell Hills Guest Ranch and wear boots when the terrain gets too dry and rocky in the hot summer months.